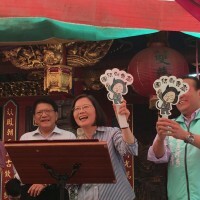 TAIPEI (Taiwan News) -- Just as the political rhetoric starts to heat up, and the candidates jostle for position for Taiwan's 2020 presidential race, photos surfaced on social media last week of a satirical poster purporting to represent the "Cat Party." 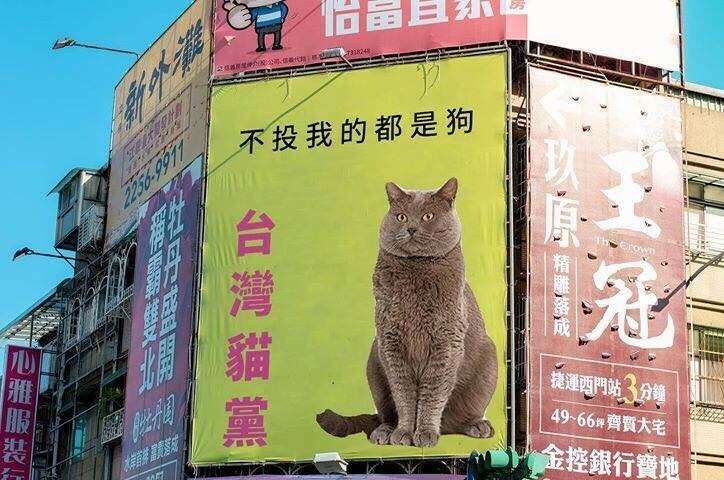 On March 20, Lev Nachman uploaded onto Twitter a photo of a massive billboard ad showing a cat and satirical Chinese text. 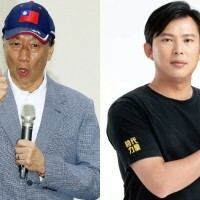 Nachman's tweet, titled "Taiwan's newest political party, bound to be catastrophic competition in 2020," has since garnered 873 likes, 381 retweets, and 31 comments. 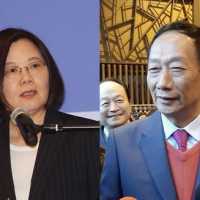 The next day, Reddit user shehuishehui shared the same photo on the social media platform with the title, "Independent Pollsters Predict a 2020 Win for These Cats in Taiwan," soon earning it 346 upvotes and 30 comments. The billboard at the intersection of Wanda Road and Kangding Road near the Wanhua railway station in Taipei City's Wanhua District. In the vertical Chinese characters on the poster, it reads, "Taiwan Cat Party," while the horizontal text states, "Those who don't vote for me are dogs." "I'm just not feline it..."